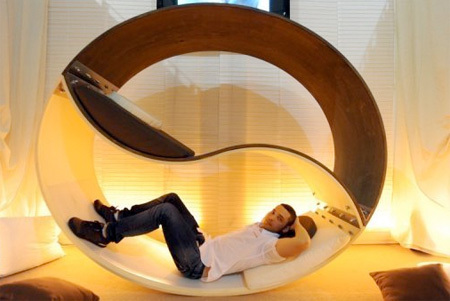 The most creative and unusual beds designed for people who love to sleep. Letto Zip bed makes daily bed-making process faster and easier. 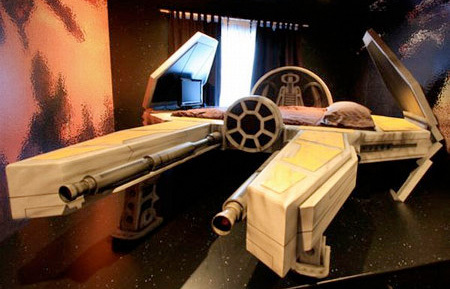 This bed will bring the drama of space dogfights to your bedroom. 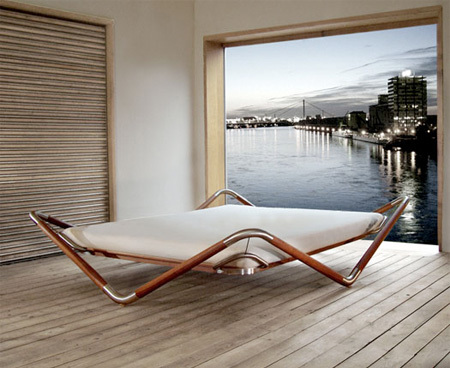 Cool bed designed by Ego Paris for use in swimming pools. Creative bunk bed created by Italian designer Alessio Pappa. 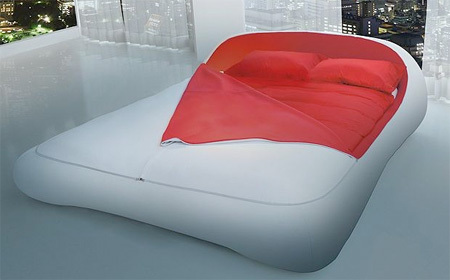 Innovative bed with suspended mattress designed by Max Longin. 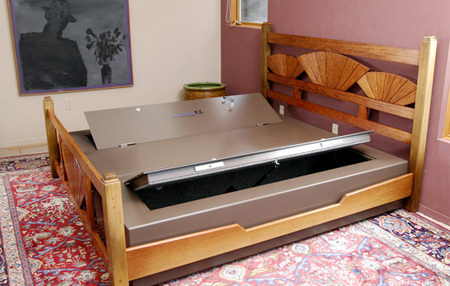 Modern bed with hidden safe for firearms and other valuables. 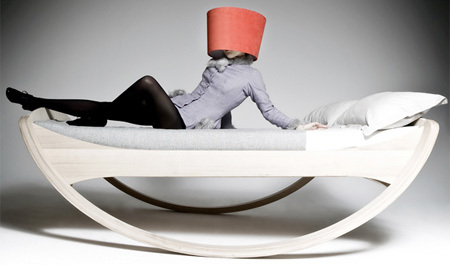 Cool bed by Manuel Kloker allows you to rock yourself to sleep. 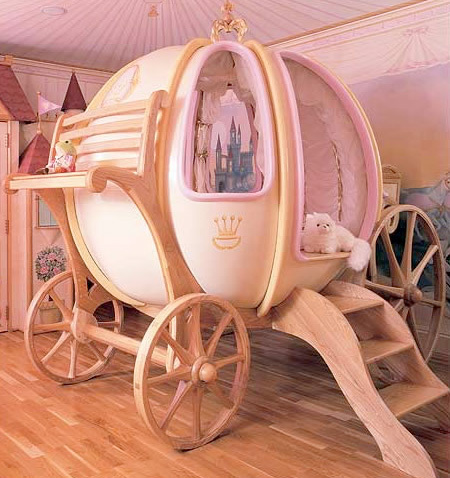 Unique pumpkin carriage bed inspired by the Cinderella fairy tale. 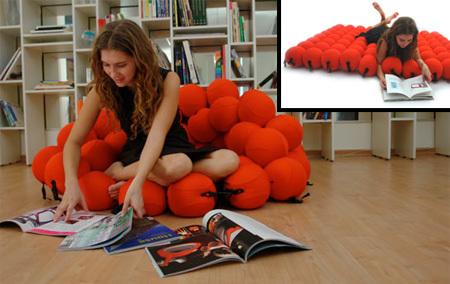 Sofa/bed combo made of 80 soft and extremely comfortable balls. 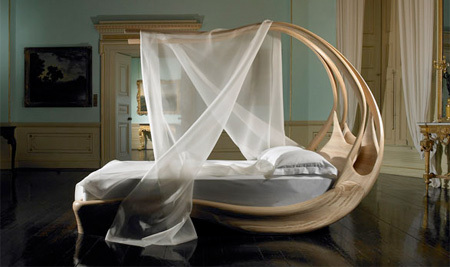 Beautiful and stylish wooden bed designed by Joseph Walsh. Bird nest inspired bed designed by Merav Eitan and Gas­ton Zahr. I love the nest bed! I want that badly! it would be perfect in my New York dream loft! Yin Yang Bed doesn’t look comfortable, but I Like Cinderella bed, cuteeee…. i LOVE the eginum bed and the nest bed!! ball bed is a really great idea too. and i want a spaceship one for my guy, he would really love it. all the other are wonderful! Really like the Suspend and Ball beds, can’t work out for the life of me why the lass on the rocking bed is wearing a lampshade on her head though? I agree, the nest bed is awesome! Great concept for a bed, clever! 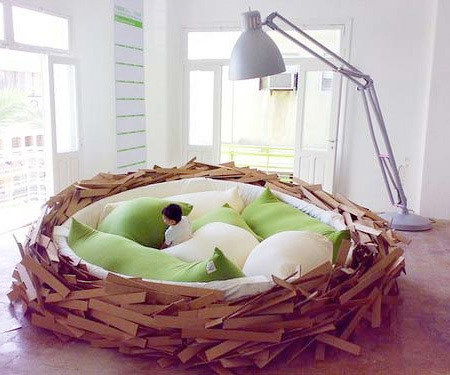 The nest bed looks cool, but..imagine getting in and out of it and keeping it clean P I T A. The enignum bed is the bomb! The suspended and sapceship beds are also awesome. I want that ying yang bed so badly. The top bunk looks like it would be wonderful for people with breathing problems. The enignum bed is stylish and practical as well! nest bed. man i would dive into that thing and just be gone. one day I’m snuggled in at the bottom and the next I’ll be hatched and can live out my life as a bird. 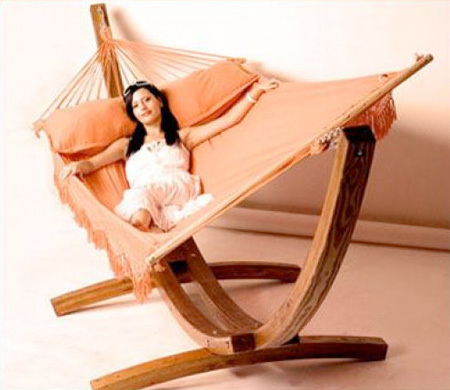 I want a rocking bed. Oh yes! Cinderella bed – abit much? I LOVE THE NEST BED!!! It is sooooooooooooooooooooo cool! My son James says he wants the spaceship bed, and my daughter lives the cinderella. JUST LOOOOOOVE THE NEST BED! i want the nest bed and cindrella bad for my nieces! I LOVE the Enignum bed! Why aren’t they in stores?!? I really like the zip bed! Cinderella one is cute. Nest bed is awesome. I love interior design! That is the dream I’ve always wanted to pursue since I was only eight!! !